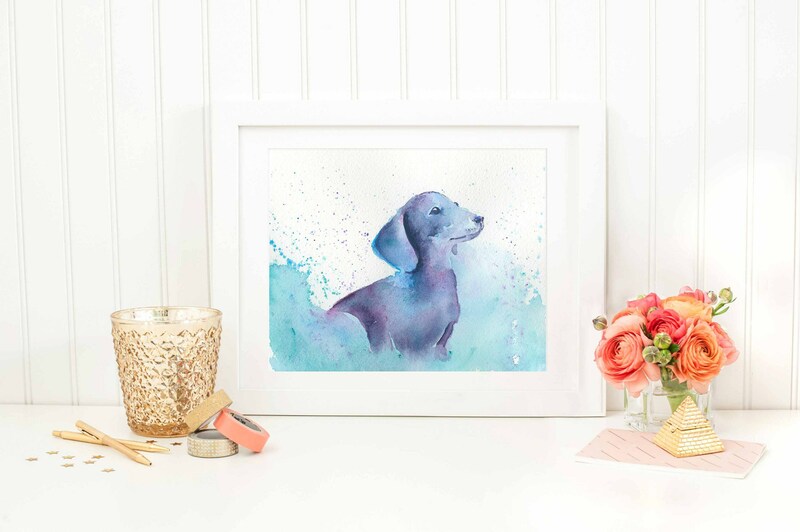 🐾 "Doxie Pup Power" is an archival fine art giclee print from my original ink & watercolor painting. This little dog is sure to steal your heart with his silly antics! 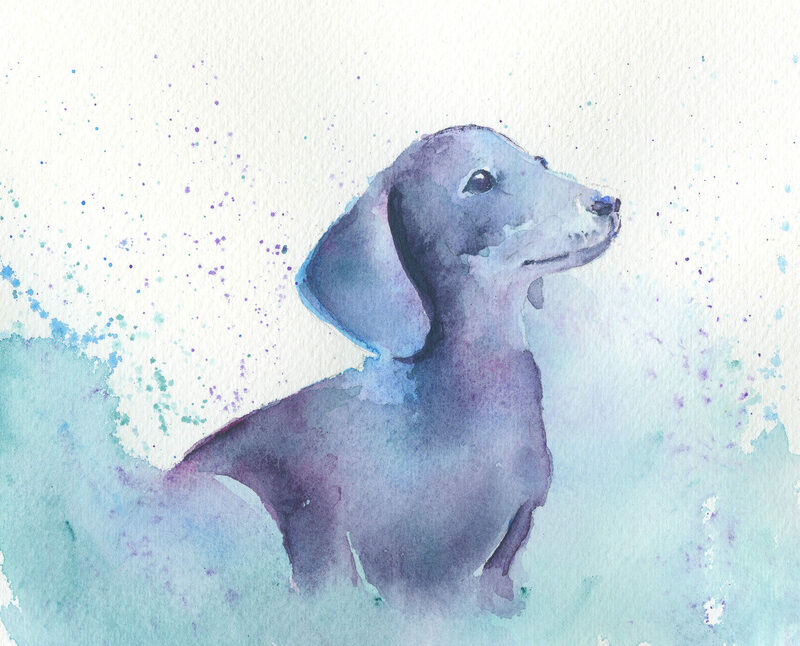 Playful and affectionate, doxies love to snuggle up with their guardians after a play session. While they don't like to be left alone, they will resign themselves to napping under the bedcovers until you get home. Don't let their unconventional appearance fool you, though. This dog was bred to hunt the ferocious badger! He will courageously guard your abode while you are gone. My first pup ever was a special dachshund named Tina. She was so loving and loyal. She will always hold a special place in my heart, so expect to see more dachshunds in this series!